Coconut Oil for Psoriasis: Does the Remedy Work? If you suffer from psoriasis, you know all too well about the unfortunate symptoms. Struggling with flaky skin, itchiness, and even bleeding is just part of the problem. The large rashes that appear mostly on knees, elbows, and scalp substantially reduce the quality of life. Even though psoriasis is not contagious, many people feel uncomfortable when interacting with a person, who has this condition. Over the years, researchers came up with various remedies to keep the condition at bay. Using coconut oil for psoriasis as well as other natural remedies have proven valuable for many people, who are struggling with this problem. While it’s not possible to get rid of psoriasis completely, you can alleviate the symptoms and reduce the breakouts in order to improve your quality of life. If you suffer from psoriasis, coconut oil can become your favorite remedy. It’s easy to find and it comes with a moderate price tag. Unlike other psoriasis remedies, the coconut oil has virtually no side effects. Coconut oil is developed from coconut kernels. It contains a fatty acid, known as lauric acid. This ingredient helps fight inflammation, microbes, fungi, and viruses. Coconut oil has a variety of uses. It’s a powerful moisturizer for all types of skin, including the one suffering from psoriasis. It’s often used as a massage oil and can be one of the ingredients of various shampoos and body creams. Coconut oil can fight wrinkles and sagged skin. It also prevents premature skin aging signs. Thanks to its impressive antioxidant properties, it can help treat such skin problems, as psoriasis, dermatitis, and eczema. This powerful antioxidant deals with inflammation that accompanies skin diseases. Coconut oil is well known for its fantastic ability to moisturize the scalp. That’s why you can find it in various conditioners and anti-dandruff shampoos. 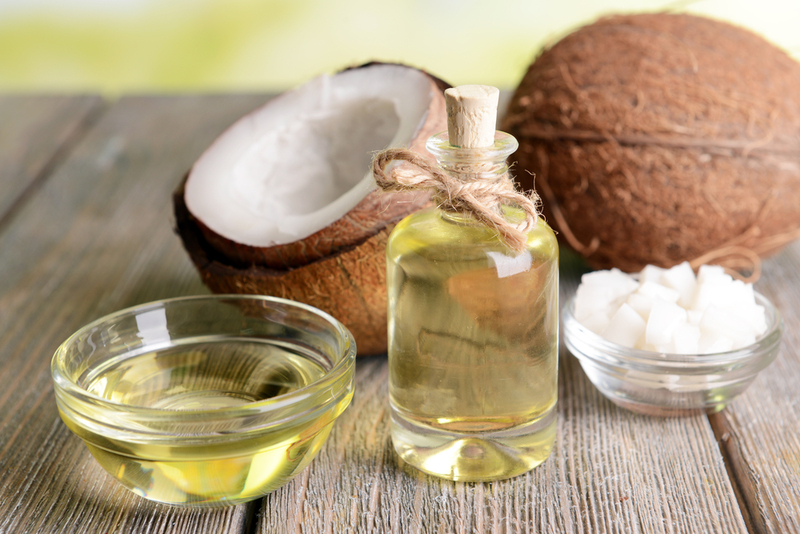 Using coconut oil for scalp psoriasis can help reduce the scaling and fight the inflammation that accompanies it. While dealing with the scales, the coconut oil reduces the itching and subdues the psoriasis symptoms. Prevents high cholesterol and high blood pressure. Increases metabolism to induce weight loss. Helps treat epilepsy and Alzheimer’s disease. If you have scalp psoriasis, coconut oil can be one of the best treatments. The oil softens the flakes and makes it easy to remove them. Meanwhile, it moisturizes live skin cells and fights the inflammation. Using coconut oil for psoriasis is easy. Here are a few simple steps. 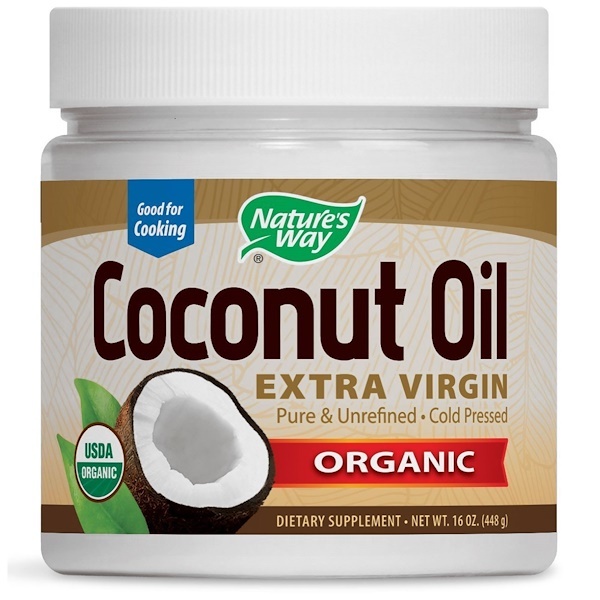 Go to a health food store and buy extra virgin coconut oil. Sometimes, you can find this oil in supermarkets or Asian food markets. But your best bet would be to visit a health food store. It can come in a plastic or glass jar. Both options can work. Since the coconut oil is thick when cool, you might need to heat it up slightly. You can place the jar into a bowl with hot water and keep it there for a few minutes. Don’t heat up the up the oil in a saucepan or apply direct heat to the oil. Take a shower and wash your head. The coconut oil works the best when applied to clean and damp skin. Apply the warm oil to the affected skin areas. Make sure to put plenty of oil on your scalp and around the hairline. Apply large amounts to the inflamed area. When applying the coconut oil, gently massage it into the skin. After applying the oil, you have to cover up the oiled areas. Tie a towel around your head and put on old cotton shirts and pants. Leave the oil on from 10 minutes to an hour. The longer you keep it on your skin, the better it can soak in. Take a plastic comb and use it to remove the separated scales from your scalp. Be gentle about scraping the skin. Wash your hair as usual to remove the loose scales. Try not to touch the scalp. If you have extra oil on your body, dab it with a towel or the cotton clothing you were wearing. Don’t wash the oil away from the skin. You can apply coconut oil 3 – 4 times a day or whenever you feel as if your skin is tightening. 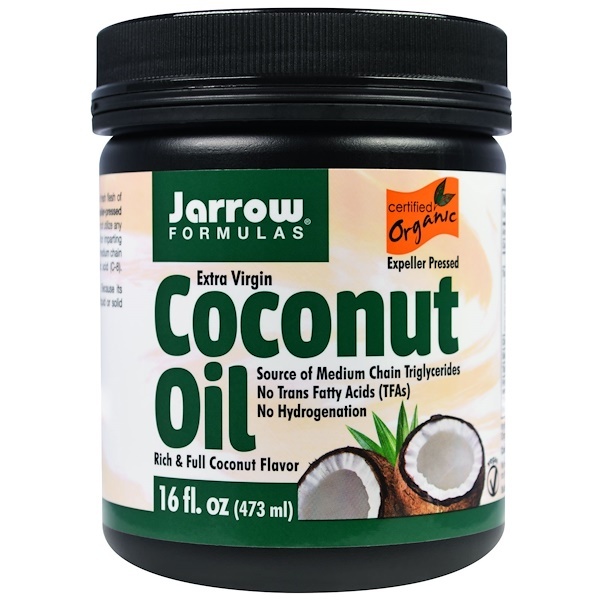 Besides using coconut oil as a topical cream to sooth the skin and remove the scales, you can take it orally to improve your health and boost your immune system. Several studies were done to determine the perfect amount of coconut oil for psoriasis. Two tablespoons a day seems to be an ideal dosage for an adult. Such amount leaves some space for other healthy fats, such as olive oil, avocado, and etc. 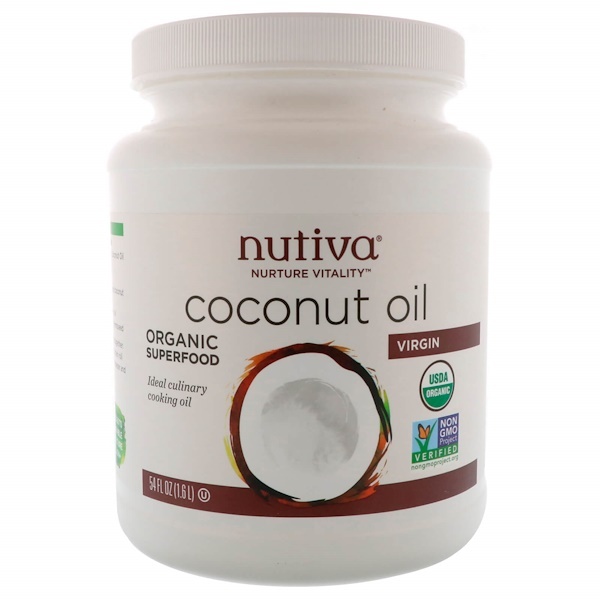 Gulping down two tablespoons of coconut oil at once can lead to nausea. That’s why there are many other ways you can consume coconut oil gradually. Cooking. You can use it for frying vegetables, eggs and fish. You can apply the coconut oil to meat before sprinkling it with seasonings. Substituting. You can substitute coconut oil for butter in most of the baking and cooking recipes. You can add coconut oil to your coffee or tea. Try not to add more than a teaspoon per cup. If you don’t have time or opportunity to use the above methods, you can start by drinking half a tablespoon per day and gradually increase the amount to two tablespoons. The coconut oil for psoriasis should be virgin and cold pressed. Always do a patch test before applying coconut oil. Allergic reactions to coconut oil are rare but they do happen and can worsen the condition. In order for the treatment to work, make sure you avoid all skin care products that contain harsh chemicals, such as parabens. Try not to scratch the flare-ups since scratching can worsen the condition. If the skin feels taut, apply another coconut oil mask. Drink a lot of water to keep your skin hydrated. The more hydrated your skin is, the smaller the psoriasis flare-ups are. Use other natural ingredients, such as shea or cocoa butter to moisturize unaffected skin in order not to trigger flare-ups. Besides using the simple “heat up and apply” recipe we mentioned earlier, there are a few smart ways you can use coconut oil to deal with the unpleasant fare-ups. Buy cold-pressed, virgin coconut oil, put several drops on your palms and massage the oil into your skin. It will heat up during the massage. Try to do this after you take a shower (or even better, a bath) in order to stimulate better absorption. While this method is somewhat less effective than the “heat up and apply”, it’s easy to use whenever you are not at home. All you have to do is carry a bottle of coconut oil with you. If you are using coconut oil for scalp psoriasis, after massaging the oil into your scalp, wrap the head in a towel or put on a shower cap and leave it overnight. Comb out the scales in the morning. Since coconut oil is not the only natural treatment for psoriasis, you can take advantage of other oils while mixing the two together. For example, tea tree oil is also a great antioxidant, which can fight fungi and microbes, while the peppermint oil has impressive soothing properties. Mix tea tree oil and coconut oil in a ratio of 3 to 1 and add a few drops of peppermint oil. Stir the mixture and heat it up slightly by placing the jar into a bowl of hot water. Apply the oils to your skin and scalp and allow it to stay there overnight. Your skin will absorb the oils, so try not to take a shower until at least noontime. You can repeat this process on a daily basis. A lot has been said about the power of aloe vera. This plant seems almost magical thanks to its various medical properties. As an antioxidant and a moisturizer, it can be a perfect choice for people suffering from psoriasis, especially when mixed with coconut oil. Buy virgin and cold pressed coconut oil and fresh aloe vera gel. Mix coconut oil and aloe vera at a ratio of 3 to 2. Stir the mixture well and add a few drops of peppermint oil (you can also add lavender oil). Close the container with the oil and leave it overnight. Make sure it’s airtight. Take a shower and apply the solution to all of the affected areas, including the scalp. Leave it overnight or at least for an hour so the treatment takes effect. Comb out the scales and wash your hair. Don’t wash the skin for a few hours. If some of the mixture remains, you can store it in a refrigerator. Apple cider vinegar can be a big help when fighting with various skin inflammations since it restores the pH-balance. Apple cider vinegar is accessible and can be purchased at your nearby supermarket. Apply the solution to the areas affected by psoriasis, including the scalp. If you are planning to use the mix on your head, consider adding some lavender oil. Leave the solution on for about 30 minutes to an hour. You can apply this mix 2 – 3 times a day depending on how much psoriasis bothers you. If you are planning to use the mix on your skin only, you can consider adding two teaspoons of honey. Don’t do it if you are going to apply the solution to your head or it will be hard to wash off. Just as coconut oil, turmeric has antioxidant, anti-inflammation, and anti-microbial properties. It has been used in Asia to treat various skin conditions for many centuries. Using the two ingredients together improves your chances of soothing the psoriasis flare-ups. Mix coconut oil and turmeric at a ratio of 4 to 1. You can heat up the mixture for better absorption. Heating up is not necessary but can make the application and massage more enjoyable. Leave the mixture on your skin and scalp for at least two hours. Wash the hair, comb out the scales, and wash the skin thoroughly. Turmeric works in a similar fashion to the coconut oil. You can also consider taking turmeric orally. This great spice can be a wonderful addition to many of your recipes. Honey has anti-inflammation properties and can be a wonderful addition to your moisturizing routine since it locks the moisture inside your skin cells. Mixing honey and coconut oil is a smart way to fight psoriasis. Mix coconut oil and honey at a ratio of 2 to 1. Stir the ingredients well. You can heat up the mixture for better stirring. Massage the solution into the areas affected by psoriasis. 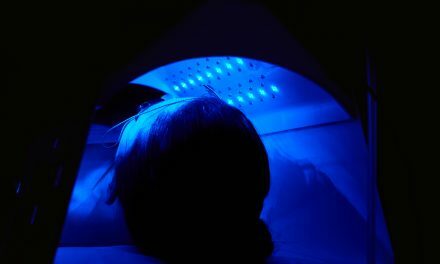 Avoid using this method for scalp psoriasis unless you have very short hair. Wash the mixture off with warm water after about 20 – 30 minutes. You can use this treatment on a daily basis. While there are many different treatments for psoriasis, the best way to deal with it is to avoid the flare-ups in the first place. Some people can forget about this unfortunate condition for years if they follow a few simple rules. While it is easy to veer off course, following these tips can significantly improve your life. It might not be easy at first but once you establish a routine, it will come naturally. Consult your physician about the dietary supplements you can take to alleviate the psoriasis symptoms. A good vitamin balance in your body leads to better skin reaction on the surface. Consider fish oil, vitamin D, and aloe vera. Drinking coconut oil for psoriasis is a good idea but it might not be enough to deal with the symptoms. Don’t start taking supplements without consulting your doctor. They might interfere with other medication you might be taking. Keeping your skin duly moisturized is a simple way to keep psoriasis at bay. While you are buying various skin care remedies without chemicals, consider bringing the proper moisture into your home. An air humidifier can be a wonderful addition to your psoriasis skin care routine. You can also consider an air purifier to keep the allergens and other contaminants out of the air you breathe. 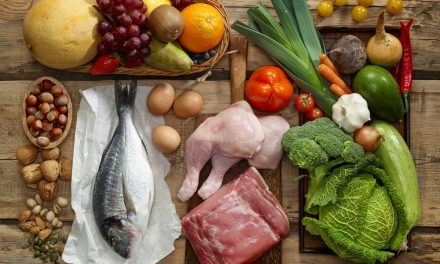 Read our article about Effects of Diet on Psoriasis. When setting up your skin care routine, try to avoid cosmetics that have fragrances. Soaps, perfumes, shampoos and most of the chemical-containing cosmetics have fragrances that can irritate your skin and induce a flare-up. Anything that has a sharp smell should be avoided. When choosing your skin products, make sure the label says “for sensitive skin”. Stressing is one of the easiest ways to provoke a flare-up. While it’s impossible to live without stress, you need to learn how to deal with it quickly. Consider stress-relieving exercises such as yoga. Besides keeping you in good shape, it can help you get your stress under control. You can also master some simple breathing exercises that can help you deal with stressful situations on the spot. Psoriasis is a condition that can’t be treated but can be controlled. It’s up to you to make your life easier. Using coconut oil for psoriasis is a good start toward natural treatment and keeping the flare-ups at bay. 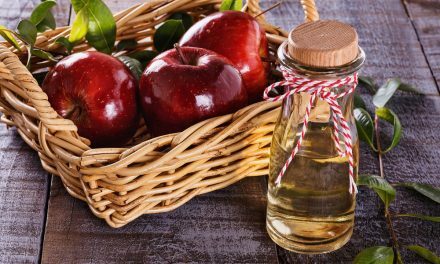 How Will Apple Cider Vinegar Help Treat Psoriasis?